Do you feel like you’re drowning under the high costs of health care premiums? Do you worry about your family and what will happen if someone gets sick? If so, perhaps you should consider switching to a healthshare program instead. Over 1 million people have turned to these programs, and more than $1.5 billion medical expenses have been paid. Many people report paying half what they were with traditional insurance with an average annual savings of $6,000. While healthshare programs are not insurance, being a member of one exempts you from paying the Affordable Care Act (ACA) penalty for not having insurance. Just like with traditional insurance, members pay a monthly fee into a collective pot. When a need arises, qualifying medical expenses are then paid by that collective. Unaware to most, healthshares have been around for the last 30 years and are well regulated in order to protect everyone involved. In most cases, members have access to better and bigger provider networks, ensuring the option to choose the best doctor for each individual. Take, for example, Medi-share. Medi-share is a healthshare program with hundreds of thousands of members. As an organization following Christian beliefs and creeds, Medi-share exemplifies the biblical idea of helping the community and taking care of one another. The concept is, whenever someone has a need, the group as a whole comes together to share the burden and share resources. Not all of them are religious based, but all of them promote a healthy lifestyle. Healthshares typically require members to stop smoking, for instance, and encourage members to eat healthily and exercise regularly. 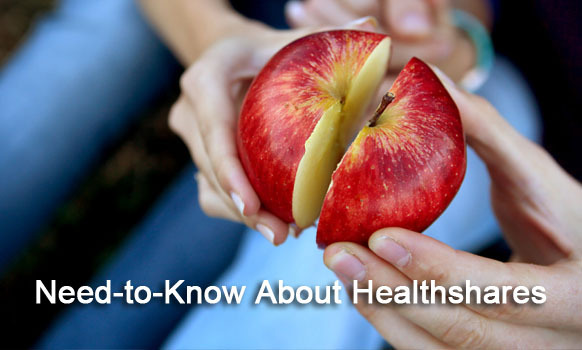 Healthshares are not for everyone, however. Some benefits require a waiting period. Like, cancer tends to not be covered for the first year or so. In addition, not all pre-existing conditions are covered. Some healthshares even put a limit on the lifetime expenses. So, anyone with extensive medical expenses is better off sticking with traditional insurance. Healthshares are a great option for many people. Unlike insurance, which has a tight enrollment period, healthshares can be joined at any time during the year. With healthshares, yearly switching of plans can be a thing of the past. Most qualify, so significant savings are just around the corner for anyone who chooses this option.